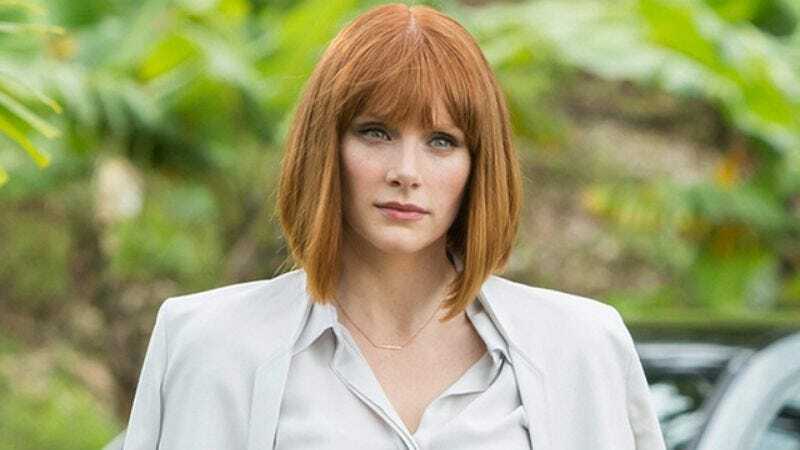 Bryce Dallas Howard has landed her first post-Jurassic World role. According to The Wrap, Howard will co-star in Gold, Stephen Gaghan’s (Syriana) upcoming drama about the world of mining. Matthew McConaughey, Edgar Ramirez, and Corey Stoll are also set to star in the film, which follows a hustler (McConaughey) in search of fortune and a geologist (Ramirez) who team up to find gold in Indonesia. Howard will play Kay, McConaughey’s character’s longtime girlfriend who has stuck with him, although his latest hunt for treasure has her near her breaking point. (Girl, it sounds like you need to dump the fool and take the gold for yourself.) Hopefully she won’t have to spend the whole movie running around in heels. Howard is also set to return—heels and all, we presume—for the Jurassic World sequel in 2018. She can next be seen on screen in the 2016 Disney film Pete’s Dragon. Gold, which started shooting in Thailand, is about halfway through principal photography, and is now shooting in New Mexico. Toby Kebbell, Bruce Greenwood, and Stacy Keach also star in supporting roles.